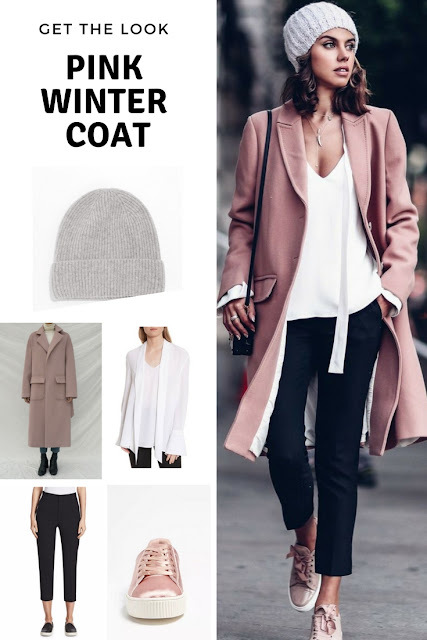 The holidays are over but we still have several months of winter left, which explains why coat-based looks are trending on my Outfit Ideas for Ageless Style Pinterest board. This week's pick is still very wintry but brightens things up with a strong helping of color. 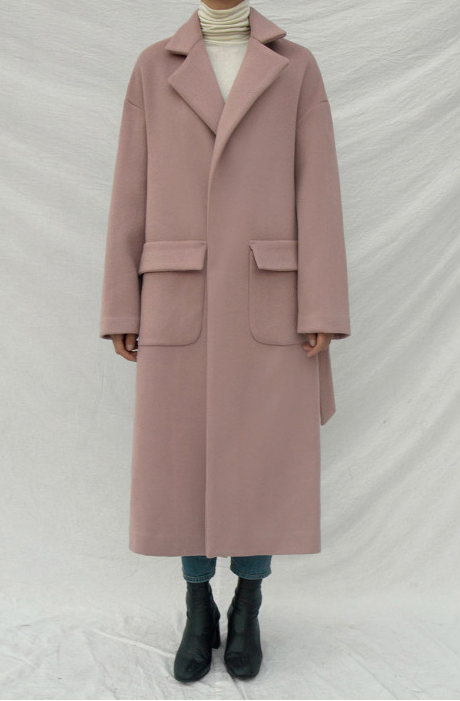 The most important part of this look, of course, is the dusty pink winter coat: a traditional menswear silhouette softened up with a feminine twist of color. I've never heard of W Concept before but—thanks, Internet!—they have a few great contenders, including this wool strap coat, which happens to be on sale. 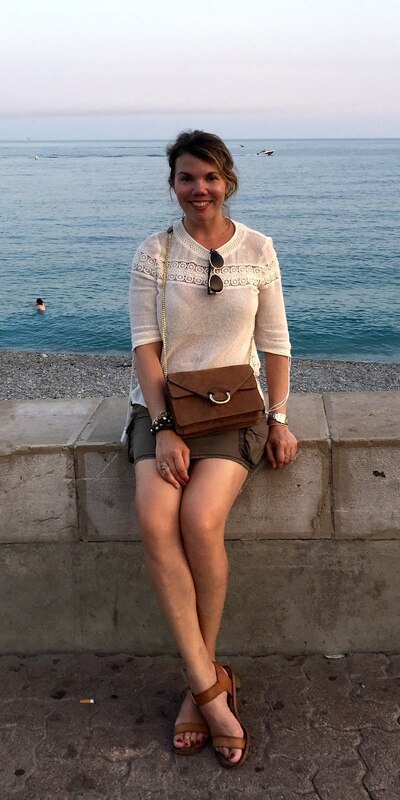 It looks like the woman in the above photo is wearing a tie-neck blouse with the tie undone. 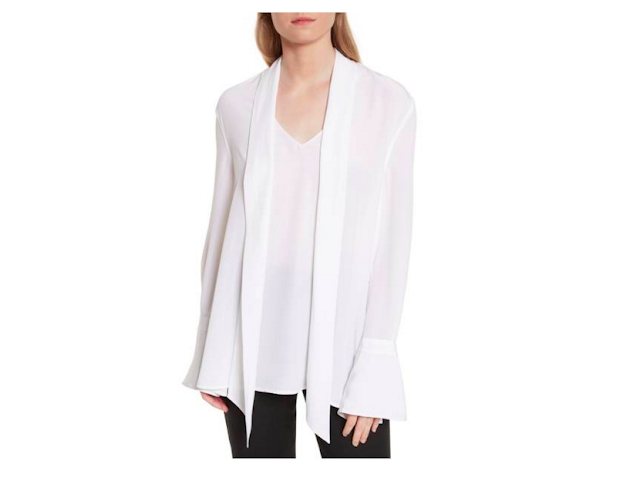 I own a similar style by Milly, but this Equipment blouse looks even better (and it, too, is on sale). 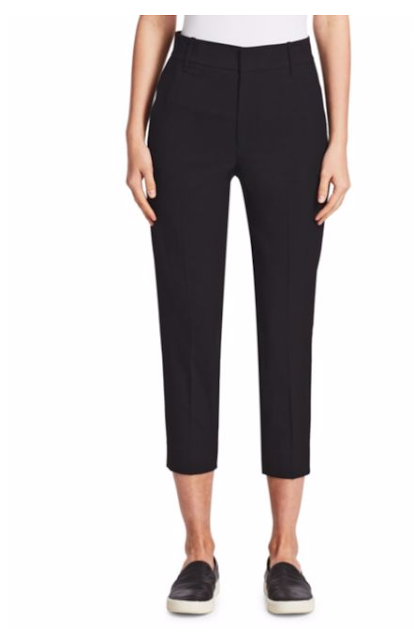 The perfect pair of cropped black trousers is hard to find, but Vince is usually a pretty safe bet for delivering elevated basics. This pair is also on sale (are you sensing a trend here? ); I'd suggest sizing up for a slouchier fit like the model is wearing. 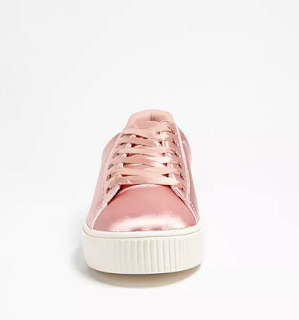 One could make an argument that pink satin sneakers with a pink wool coat are perhaps a bit too matchy-matchy, but with a pair like these ridiculously affordable sneakers from Forever 21, I'd make an argument that you can live a little and just wear what makes you happy. Last but not least, you need a wide ribbed beanie to make this outfit work. 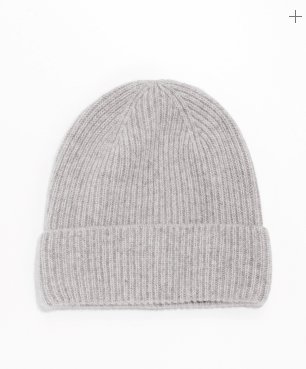 To max my luxury, I'd probably knit one myself from thick cashmere yarn, but if that's not an option for you, this And Other Stories cashmere beanie could be. This is a gorgeous coat. The blush pink is beautiful and it will be perfect for the spring transition too! Loving that color more and more! Love this pink coat. Such a great colour :) Thanks for joining us at The Wednesday Link Up. I just love the length and color of this coat! I love the idea of a pink coat for winter!! Such a fun look overall. Love the pink coat. Love the look. I really like pink, so I adore the pink coat.